Finally that awful show proves good for something. 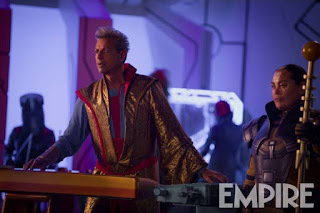 Also, Empire has released a handful of new images from the film, and they seem to be taken from the footage that was shown to us at San Diego Comic-Con and haven't been made part of the trailers yet. 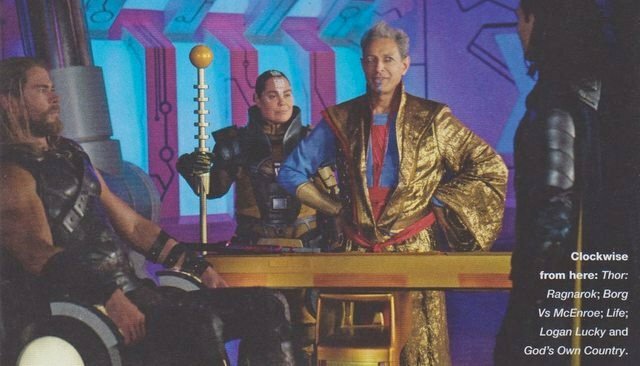 In two of them we see Thor strapped to a chair while imprisoned by the Grandmaster (Jeff Goldblum) and his sidekick, Topaz (Hunt for the Wilderpeople's Rachel House). It's a scene that has Thor going through a trippy holographic sequence that fills him in on the history of the gladiator planet, Sakaar. It's been accurately described as similar to the boat ride in Willy Wonka and the Chocolate Factory. 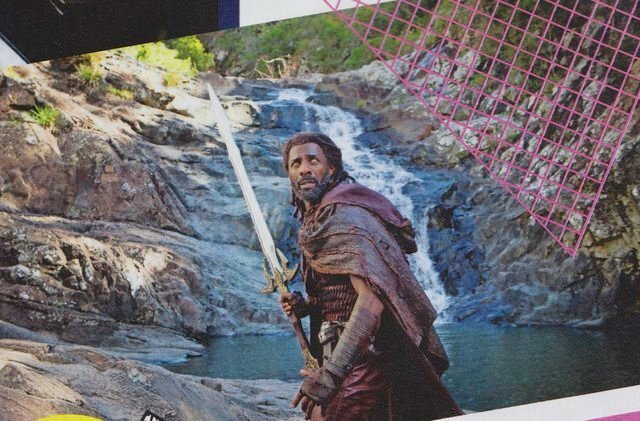 Another shot features Idris Elba as Heimdall, and again he's seen without his special golden armor. It's another sign that he has lost the job of guarding the Rainbow Bridge, perhaps to Skurge (Karl Urban) who may take it over after Hela (Cate Blanchett) destroys Asgard. 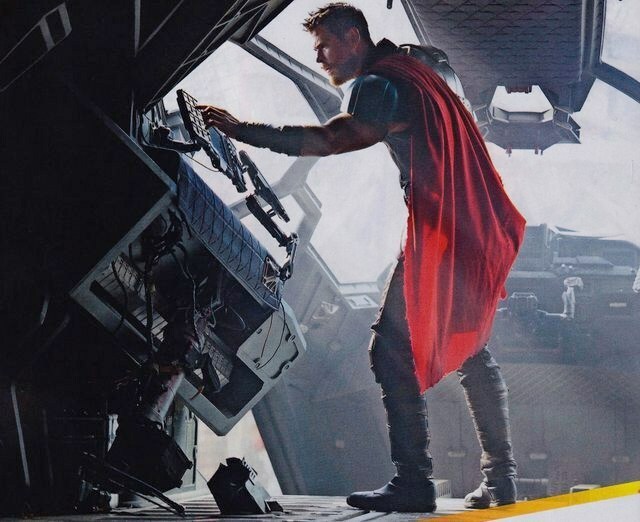 People need jobs, even in Asgard. 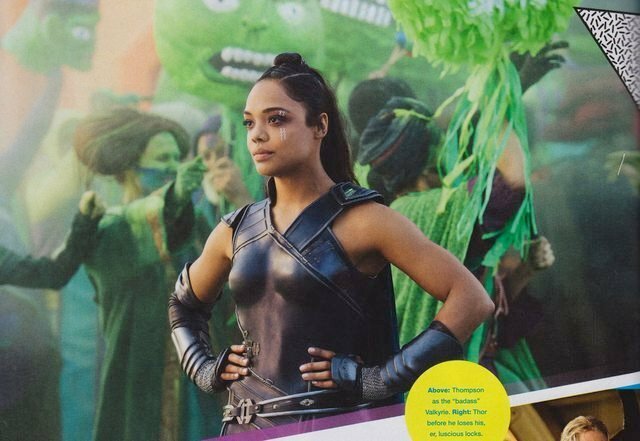 And another image features Tessa Thompson as Valkyrie, who works for the Grandmaster securing fighters for his gladiator battles. She's the one who actually captures Thor and delivers him to Sakaar. In that image it looks like there's a celebration for the current champion, and since everybody is good and green we can guess that Hulk rules. 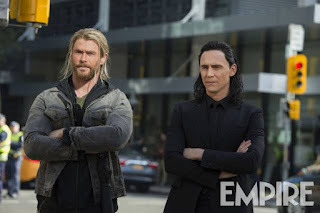 So lots of new looks at what promises to be, finally, a memorable Thor movie. 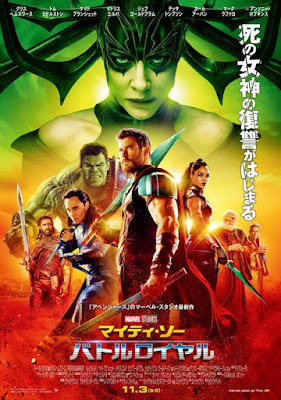 The international poster seen above is also new, and brings pretty much the whole cast together. Thor: Ragnarok opens November 3rd 2017.